Falls from height are a major cause of accidents and unfortunately falls through skylights on fragile roofs happen so often. Uncovered roof lights are very dangerous, as they do not stand out from the rest of the roof, so are not easily to notice. 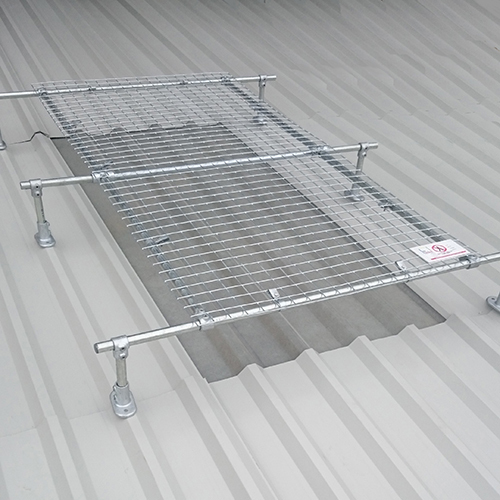 All building owners have a duty to protect all workers from potential hazards, Kee Cover allows them to do that by providing permanent protection against falls through fragile roof lights. 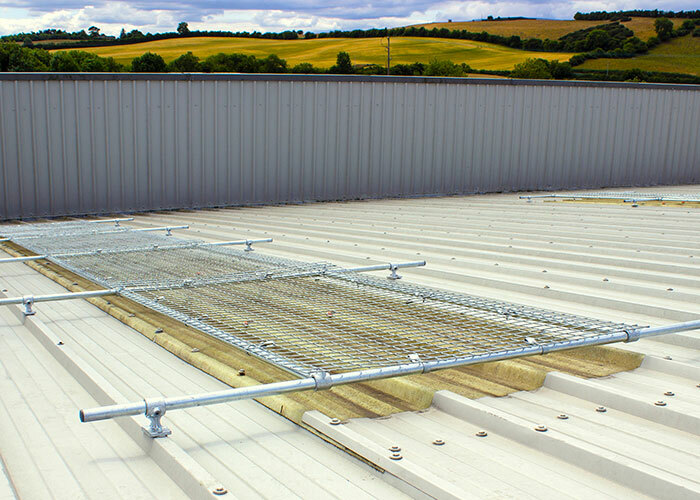 KEE COVER has been designed specifically for metal profile roofs where inline roof level skylights are common. Skylights are covered by a strong mesh panel mounted onto a metal frame. KEE COVER roof lights covers are available in two formats. 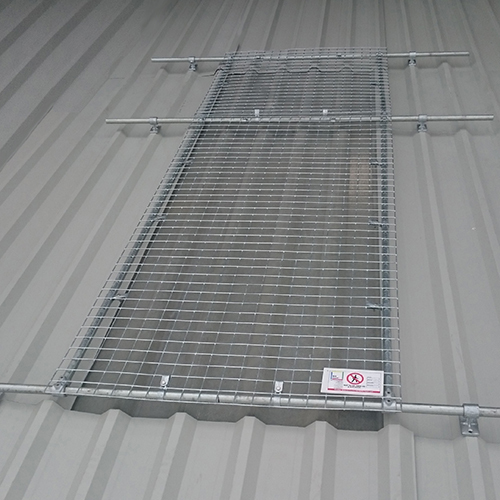 The panels are supplied in either a standard or raised format, and extension panels are also available for larger spans. Standard Panel fixes virtually flat to the roof surface. This option will prevent the worker from falling through the roof, but will not stop the roof light from being shattered. KEE COVER roof light covers have been tested to the Class B criteria and loadings required in the ACR Red Book Test for Non-Fragility of Roof Assemblies. An additional 1200 joule test has been carried out to EN 1873. KEE COVER meets both of these test criteria.